Huge volcanic super-eruptions with the power to destroy civilisations take just hundreds of years to form, geologists believe. So-called 'super-eruptions', more than 100-times as large as the Mount Saint Helens incident, can spew gas, ash and rock over whole continents and cause the world to endure volcanic winters that can last decades. It is thought that one Indonesian super eruption 74,000 years ago was so large it almost destroyed the whole human race. The cause of super eruptions is believed to be a massive magma pool that is created a few miles under the earth's surface. Previously, it was thought that this process takes 100,000-200,000 years until it is ready to erupt. But researchers at Nashville's Vanderbilt University suggest a study published in the Public Library of Science ONE journal that in it might only take a few hundred years until it erupts. The MoU, signed by Charles Hendry and his Icelandic counterpart Oddný G. Harðardóttir, will strengthen the two countries’ relationship on energy issues. Charles Hendry said: “Today’s agreement will help pave the way for a closer relationship with Iceland, which I hope can yield significant benefits for the UK, including the development of geothermal power, greater use of interconnectors to transport energy under the sea, and developing oil and gas resources. "This sort of approach can both enhance our energy security and deliver low carbon electricity in an affordable way." The completely refurbished Rancia 2 geothermal plant in Tuscany, in the municipality of Radicondoli in the province of Siena, has entered service. The plant, which has an installed capacity of 17 MWe, will be able to generate about 150 million kilowatt hours of power, thus avoiding the emission of 100 thousand tonnes of CO2 and saving 33 thousand TOE (tonnes of oil equivalent) of fossil fuels per year. Federal officials have unveiled draft plans for a proposed $1.5 billion power line linking central New Mexico with southeast Arizona across at least 460 miles of federal, state, local and privately owned lands. The Bureau of Land Management said Tuesday that it is seeking public comment on the SunZia Southwest Transmission Line Project that calls for two new 500 kilovolt transmission lines and up to five new substations, depending on the final route selected. The transmission lines are expected to spur development of renewable energy resources – including geothermal energy – throughout the desert Southwest by linking the region to an interstate power grid. The study found that subsidising geothermal technology initially would help to bring down costs rapidly as UK sites were developed. But the report found that the current subsidy regime does not provide sufficient incentive to develop the technology in the UK - even as Charles Hendry, minister of state at the Department of Energy and Climate Change, flew to Iceland on Wednesday afternoon to discuss a possible new interconnector that could be used to import geothermal electricity from there. Due to popular demand the workshop capacity has been increased. Register now! Hot rocks under Hampshire could hold enough energy to heat thousands of homes. A new geological study has found that Britain has enough accessible underground heat to generate up to 20 per cent of its electricity and provide warmth for millions of central heating systems. In some areas of the country, rock temperatures can reach as high as 200C (392F), which is enough to generate electricity. However, in Hampshire the underground heat source does not reach such high temperatures – but could still be used to warm homes and businesses. Filinvest Development Corp. plans to invest roughly P25 billion this year to jumpstart the construction of new power plants in the Philippine, with a combined generation capacity of 200 megawatts. Apart from these “green field” projects that will start from scratch, FDC is keen on some of the “brown field” or already existing power assets slated for privatization, particularly Unified Leyte Geothermal (640 MW), top officials said. British Petroleum has agreed to take part in the development of multi-billion-USD geothermal energy projects in Indonesia, President Susilo Bambang Yudhoyono has said Saturday.“BP in talks just now agreed to participate in the development of geothermal energy in Indonesia thus to increase our power capacity,” the President was quoted by Antara news wire as saying Saturday. Millions of homes could be heated by geothermal energy in the future, according to experts. This week the U.K. Government is due to reveal how much money it is prepared to pay to help private companies develop the form of renewable energy. A new geological survey suggests up to 20% of the country's power could be generated by tapping into hot spots underground. Tasmanian-based geothermal aspirant Kuth Energy plans to push ahead with a $100 million project to build an 8MWe geothermal plant in Vanuatu after the World Bank endorsed the project. A World Bank report presented to the Vanuatu government said that geothermal represented the least-cost replacement for its current source of energy, diesel, and was cheaper than wind or solar PV. It recommended that priority be given to Kuth’s Takara project above other generation technologies. Some residents of the province of Manisa in western Turkey cannot leave their homes due to gushing hot water that erupted after a private company began work on a geothermal project, private broadcaster CNNTürk has reported. The hot water has burst from the ground four times now, reaching a heigh of 50 meters in the most recent burst. Villagers nearby fear the gushing water may break through the ground, with cracks already approaching inhabited areas. Working in the fields has also become very difficult due to the potential danger. Central Petroleum Limited of Perth, has announced that it has received formal notification confirming the relinquishment of its geothermal exploration permits. The Board's decision to relinquish these non-core assets was a result of the Company's ongoing asset portfolio review. The three geothermal exploration permits were considered to be non-core relative to Central's other conventional and unconventional acreage holdings, particularly in light of the recent conventional oil discovery at Surprise in the Amadeus Basin and the near-term financial commitments which will be required to appraise that field. On July 1, a new law takes effect in Japan, requiring utilities to purchase electricity generated from five renewable energy sources at a fixed price for a set length of time, under what is known as a feed-in tariff system. Continental Energy Corporation, today announced that the Government Of Malaysia, acting through its Public Private Partnership Unit of the Prime Minister's Department, has awarded a grant of 35 Million Malaysian Ringgit (approximately US$ 11.5 Million) to Tawau Green Energy Sdn. Bhd. ("TGE"). Continental Energy Corporation owns a 10% stake in TGE. TGE is developing a geothermal energy resource at a site named Apas Kiri, located in the southern portion of the Malaysian State of Sabah near the city of Tawau. Apas Kiri will be Malaysia's first geothermal energy development. It is expected to come online by early 2015 with a rated net capacity of 30 Megawatts. U.S. Geothermal Inc., today announced that its construction contractor has provided a notice of mechanical completion for the first of three 7.3 net megawatt, air cooled power plant modules at the Company's Neal Hot Springs project, located in Malheur County, Oregon. The total project is about 90 percent complete with some 65% of the U.S. Dept of Energy project loan already drawn down to fund construction. Nevada Geothermal Power (NGP) of Vancouver says its Faulkner 1 geothermal power plant at Blue Mountain near Winnemucca produced 65,784 megawatts during the quarter ended Dec. 31, a 2 % increase from the same period a year earlier. NGP says it's still working with Canaccord Genuity to restructure its $91.3 million debt to EIG Global Energy Partners. Nevada Geothermal Power defaulted on its loan from EIG in December. The Colorado Geothermal Working Group brings together top experts in the fields of geothermal heat pumps, geothermal power production and direct use to explore how to accelerate the use of geo energy in Colorado. This full day meeting will look at the current status of various projects and initiatives as well as the hurdles that must be overcome to foster market growth and economic development for the state's most underutilized renewable energy resource. Discussions will explore federal leases, financing, time to production, thermal energy standards, net zero energy applications and 1041 regulations. The meeting is free to attend and open to the public, but registration is required. Lunch tickets are available for a nominal fee. Sponsorship and exhibitor inquiries are welcome. Cluff Geothermal Ltd., a U.K.-based company, plans to invest in geothermal exploration and generation in Uganda, President Yoweri Museveni’s office said. The company, with projects in northeast England and in the East African Rift Valley, was attracted to Uganda because of its “big thermal energy potential,” which may generate “cheap and affordable” electricity, the presidency said in a statement today from Kampala, the capital. Museveni met Cluff Geothermal Managing Director George Percy yesterday at Kisozi, in Uganda’s central region. Uganda, East Africa’s third-biggest economy, has regular nationwide outages amid a power deficit, with production at 395 megawatts and consumption at as much as 450 megawatts, Julius Wandera, the spokesman of the state-run Electricity Regulation Authority, said today in a phone interview from Kampala, the capital. According to a news release from KUTh Energy Limited, the World Bank report states, "the Takara geothermal power plant is the ... least-cost base load power supply addition for Efate ... compared to diesel, wind and solar photovoltaics. Development of the Takara geothermal resource should be prioritised above development of other generation technologies." heat energy (100°C to 300°C) into electricity. A company in the Boulder Valley, Colorado, USA, will receive a grant from the federal Department of Energy for a project on power generation from geothermal heat. 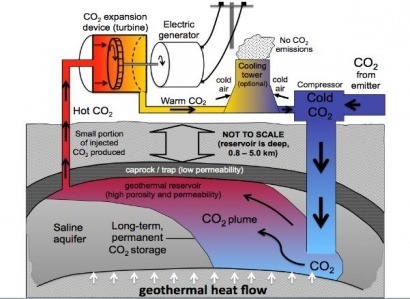 Cool Energy Inc. is working on a low-temperature Stirling engine for geothermal electricity generation. The system will be designed for geothermal wells and oil and gas wells. If widely deployed, this approach could replace up to 100 fossil-fuel power plants. The Small Business Innovation Research grants are part of $11 million in innovation grants announced Wednesday for small businesses across the nation to work on research projects ranging from designing better wind turbines to fuel-cell technology and coal-energy research. The small businesses selected will be eligible to compete for a second phase of the program for awards up to $1 million over two years. Geothermal is in many ways the best option when it comes to generating clean, carbon-free energy. The problem comes in the details. Geothermal developers are essentially prospecting for pockets of heat. They aren’t that much different than oil wildcatters or explorers for natural gas. 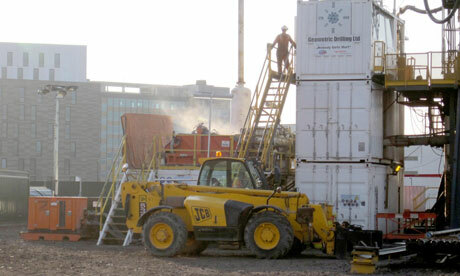 Geothermal developers, in fact, employ similar drilling techniques and software. Pockets of heat, however, are far harder to find than reservoirs of liquids with today’s technology. Italian Exergy, a company of Maccaferri Industrial Group, has been awarded a contract by Enel Green Power for the supply of an ORC radial outflow turbine as core component of an innovative geothermal plant. This plant, producing electricity of up to 1 MW, extracts heat from a geothermal resource in Bagnore (Mount Amiata), Italy. Costa Rica's installed private generation capacity last year rose 14% to 374MW from 2010, according to statistics from public services regulator Aresep. The 374MW (205MW hydro, 100MW wind, 40MW thermo, 29.6MW geothermal) represent 14.1% of the country's installed capacity of 2.65GW at end-2011 that rose 1.39% from the year before. The bulk of total installed capacity comes from hydro (62.2%, 1.65GW), followed by thermo (23.1%, 652MW), geothermal (8.21%, 218MW) and wind (5%, 133MW). Total generation last year grew 2.77% to 9.75TWh, of which 74.1% was hydro, 13.1% geothermal, 9.57% thermo and 3.26% wind; private generation slid 5.69% to 1.51TWh. Peak demand in 2011 hit 1.55GW, up 0.65% from the year before. Increasing private participation in the country's power sector dominated by state power company ICE has been under debate for some time. In 2010, the executive submitted a power sector framework bill to the national assembly aimed at opening up the sector. The GEA’s newest report on global growth is an admirable effort on putting on a happy face -- but its numbers tell another story. The city council of Kidapawan in North Cotabato has given Energy Development Corp. (EDC) the go signal to build its third geothermal plant in the Mt. Apo area. Vice-mayor Joseph A. Evangelista said over the radio last Wednesday that a resolution was passed by the city council endorsing construction of the new plant located in the upland Barangay Ilomavis. The Lopez-led EDC currently operates two geothermal power plants, namely: Mt. Apo I and II, with a combined capacity of 100 MWe. 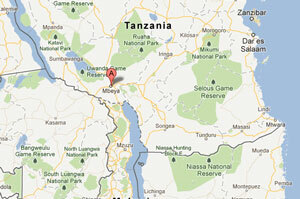 The company’s Web site showed the proposed third geothermal plant would also have a capacity of 50 MWe. Close to 700 protesters urged the Energy department on Thursday to distribute to North Cotabato province the needed 25 percent power supply generated from the geothermal power plants in Mount Apo. Members of Makabayan, an alliance of progressive groups of farmers, consumers, workers and urban poor in North Cotabato, made the demand through a three-hour rally on Thursday. The group said the two geothermal power plants owned by the Energy Development Corporation (EDC) generate at least 104 megawatts (MW) of power. "It's so ironical we host these plants, yet, we experienced last month eight hours of blackouts," a certain Sison of Makabayan said. As the race to meet the world’s escalating energy needs heats up, Stanford University is responding by offering a new professional certificate program in renewable energy. The online program, Energy Innovation and Emerging Technologies, explores emerging technologies that can transform how we obtain, distribute and store energy. The web page does not at this time mention geothermal as a topic of study, despite the presence on campus of the Stanford Geothermal laboratory. Alterra Power Corp. of Vancouver, has announced the resignation of David O'Brien as a Director of the Company due to his taking a new role with KPMG, the Company's auditors. Alterra's Chairman, Ross Beaty, said, "David was a great Board member and we will miss his experience and insight. We wish him all the best in his new undertaking." The GRC Room Block Is Now Available! Reserve Your Room Online Now! 2012 GRC Awards Nominations - Deadline: June 29. 2012 GRC Amateur Photo Contest - Invitation for Entries - Deadline: August 31. Ormat Technologies, Inc. announced today that it has been informed by Ormat Industries, Ltd., its parent entity, that the transaction by and among Bronicki Investments Ltd., the controlling shareholder of Ormat Industries, and FIMI ENRG Limited Partnership, a newly formed Israeli partnership and FIMI ENRG, a newly formed Delaware partnership, both controlled by FIMI Opportunity IV, to sell part of BIL's interest in Ormat Industries, previously announced on March 16, 2012, was successfully consummated on May 22, 2012. An Xstrata Copper subsidiary is seeking to purchase 50 megawatts of geothermal electricity for its Argentine mining operation, an energy supplier said Tuesday as the company renews its commitment to a $7 billion initiative to increase copper production by more than 60 percent over three years. 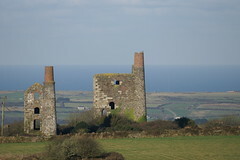 Two old mine engine houses in Cornwall, England. When British geologist Ryan Law lined up to meet the Queen in Exeter, England earlier this month, he did something not everyone would do: He showed her a drill bit. It was no ordinary household piece of spiralled metal. Rather, it was a chunk of industrial equipment that will help Law bore three miles down to hot granite. The 190 degree C rock will provide a natural furnace to Law’s planned utility scale, grid-connected geothermal electricity and public heat station outside the town of Redruth in Cornwall, England’s southwest county. The recommended path for enabling 100,000 megawatts of electric capacity from geothermal resources by 2050 comes to less than the price of one demonstration clean-coal power plant. The recommendation comes from Cornell University scientist Jefferson Tester, who led a national panel hosted at MIT that produced a major geothermal resource study in 2007. Tester spoke at the Enhanced Geothermal Energy Development Conference May 22 in Flatwoods. The Pakistan-Turkey Joint Ministerial Commission (JMC) meeting held here on Monday discussed and finalised agreements and MoUs in various fields to be signed by the premiers of both countries on Tuesday. The Energy Working Group reported that Turkey would provide technical assistance in the field of geothermal energy resources and remote sensing. The city council of Kidapawan recently passed a resolution endorsing the construction of another geothermal power plant in Barangay Ilomavis. The same resolution also authorized the local chief executive to sign a memorandum of agreement with the Energy Development Corporation (EDC) that operates the first two geothermal plants in the area. Signing of the MoA is required before the EDC could start construction of the third geothermal plant in Mindanao geothermal production field situated in Mount Apo. Update on Option to Acquire 50% of an Advanced Geothermal Power Generation Project in Turkey. Wasabi’s Turkish subsidiary Imparator Enerji signed an option to take a 50 per cent stake in the Tuzla Geothermal Power Project (TGPP) in April subject to partner and regulatory approval. TGPP owner and operator Enda Enerji has now given its go-ahead, though the exercise of the option remains subject to the project lender's consent as well as regulatory approvals, Wasabi said. The total consideration for the option is US$11.75 million (including a US$5 million loan note). The project includes an operating 7.5 MWe geothermal power plant in Canakkale Turkey, with opportunities to expand further. U.S. Geothermal announced today that it has signed a purchase agreement with Lincoln Park Capital Fund, LLC ("LPC"), a Chicago-based institutional investor, for the sale from time to time over a 36-month period of up to $10.75 million of U.S. Geothermal Inc. common stock. The agreement provides for an initial sale of $750,000 upon closing. The securities LPC has agreed to purchase under this agreement will be offered through a prospectus supplement pursuant to U.S. Geothermal's effective shelf registration statement and base prospectus contained therein. Kuhns Brothers Securities Corporation ("KBSC") acted as placement agent on behalf of the Company in connection with the transaction. The net proceeds from LPC's investments will be used to support ongoing construction projects, if required, and for general corporate purposes. In conjunction with tomorrow’s GEA International Geothermal Energy Showcase 2012, the Geothermal Energy Association (GEA) has released its latest International Market Overview Report (PDF), which finds that the global geothermal power market grew substantially in 2011-12. As of May 2012, there are approximately 11,224 MW of installed geothermal capacity online globally. The U.S. remains the world leader with approximately 3,187 MW of installed capacity, but global market growth continues to outpace the U.S. by a noticeable margin. Geothermal energy could supply 31,000 megawatts of electrical generation capacity in the state, as a conservative estimate, nearly twice the state's current installed capacity from all sources of 17,000 megawatts. That's an estimate from Zachary Frone, geology graduate student at Southern Methodist University, whose work led to the discovery in 2010 of the West Virginia geothermal anomaly. Frone spoke at the Enhanced Geothermal Energy Development Conference May 22 in Flatwoods. Ever hear the one about the Icelandic geothermal systems engineer and the Kenyan project developer who walk into a bar? As interesting this meeting might be, it’s unlikely to happen anywhere but in a bad renewable energy joke. Or at a geothermal conference. Enter the Clean Energy Solutions Center, a new website designed to make it easier for these kind of encounters to happen — helping spread valuable experience to emerging clean energy markets around the world. Statement of Brian D. Fairbank, President & CEO, Nevada Geothermal Power, Inc. and GRC Board Member before the Subcommittee on Regulatory Affairs, Stimulus Oversight and Government Spending of the House Committee on Oversight and Government Reform, United States House of Representatives. Hearing On: The Department of Energy Section 1705 Loan Guaranty Program. Presented On May 16, 2012. It is my pleasure to appear today as a representative of Nevada Geothermal Power, Inc. and the Blue Mountain Facility and to speak with you about the many good things occurring at the Blue Mountain Facility, both in terms of what is occurring at the power plant and also in the Winnemucca, Nevada region and beyond. These positive things are a result of the hard work of Nevada Geothermal Power and Blue Mountain employees, the support of civic leaders and ordinary Nevadans, the dedication of trusted lenders, and, of course, the assistance of the Department of Energy’s Section 1705 loan guarantee program. One of two new 49.9-MW geothermal plants is already operating at full capacity in Imperial Valley, California near the Salton Sea. It was originally called Hudson Ranch I, but renamed later to John L. Featherstone Plant, to honor a geothermal expert. This new plant is the first of its kind built in the area for twenty years. The second 49.9-MW geothermal project is called Hudson Ranch II and construction is slated to begin in 2013, with a 2015 finish date. Each new plant has been said to be able to generate enough power for 50,000 homes. Kenya has become one of the world's leading countries in the exploration of geothermal energy. The country is now one of the world's top ten geothermal producers and plans to significantly increase output over the next five years. The primary source of energy will be harnessed from hot steam in East Africa's Rift Valley, and could power Kenya many times over. Drilling for wells that run deep into the earth's surface in remote regions has attracted serious investment to the area. 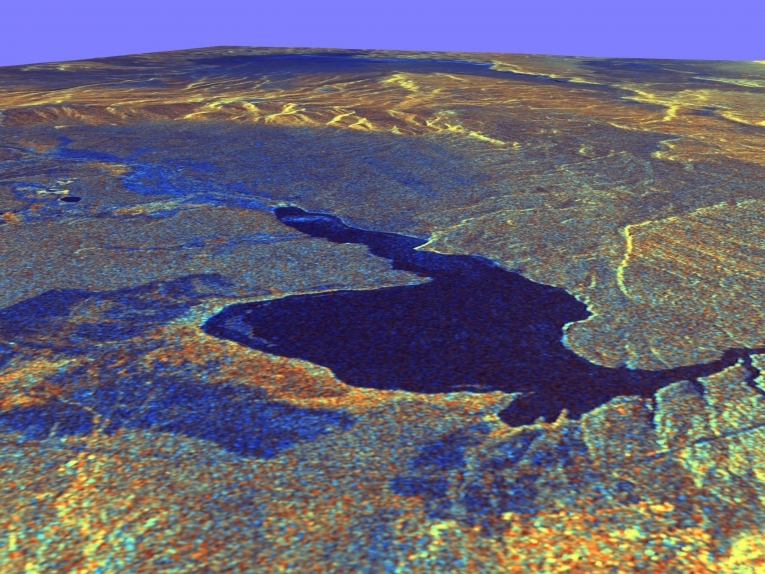 A possible solution to San Diego's growing energy needs may lie along the Salton Sea. Geothermal has come of age as a versatile and user-friendly energy source judging by some of the finalists in this year's Energy Efficiency and Conservation Authority Awards (EECA). The EECA Awards recognise excellence and innovation in energy efficiency and renewable energy. The 90 entries across nine categories collectively account for more than $60 million in annual energy savings, or value of energy generated. This year, for the first time in the history of the awards, three finalists use geothermal energy as a part of their business enterprise. NASA Space Shuttle photo of Campi Flegrei. A project to drill deep into the heart of a “supervolcano” in southern Italy has finally received the green light, despite claims that the drilling would put the population of Naples at risk of small earthquakes or an explosion. Yesterday, Italian news agency ANSA quoted project coordinator Giuseppe De Natale of Italy’s National Institute of Geophysics and Volcanology as saying that the office of Naples mayor Luigi de Magistris has approved the drilling of a pilot hole 500 meters deep. The Campi Flegrei Deep Drilling Project was set up by an international collaboration of scientists to assess the risks posed by the Campi Flegrei caldera, a geological formation just a few kilometers to the west of Naples that formed over thousands of years following the collapse of several volcanoes. Researchers believe that if it erupted, Campi Flegrei could have global repercussions, potentially killing millions of people and having a major effect on the climate, but that such massive eruptions are extremely rare. The environmental council voted down drilling, but voted to approve non-invasive testing and analysis. The state's effort to move forward on geothermal explorations and drilling on the Big Island hit a snag on Thursday. The state Environmental Council voted down environmental exemptions for exploration drilling. But, proponents of geothermal energy are still hopeful for other options. On the Big Island, Puna Geothermal Venture's plant produces 20 percent of the island's energy needs. The state land department believes there's room for more exploration. Hudson Ranch I renamed John L. Featherstone Plant during dedication ceremony; Honoring pioneer and innovator in geothermal technology in the Salton Sea resource and GRC Member. EnergySource, today hosted a dedication ceremony in Imperial County to commemorate completion of the first stand-alone geothermal plant in the Salton Sea area in 20 years, Hudson Ranch I.
EnergySource also announced ground breaking for its second geothermal plant, Hudson Ranch II, with drilling commencing in the third quarter of 2012. Diponegoro University of Semarang, central Java, is building a Geothermal Research Center to be run by the Faculty of Science and Mathematics to examine potential geothermal resources in Indonesia. "The Geophysics and Geothermal Research Centre building begins today and is targeted to be completed in November 2012," said Dean of the university`s Faculty of Science and Mathematics M. Nur here on Monday. Nur added that fossil energy cannot remain plentiful forever and will someday be depleted due to excessive consumption. So, renewable energy such as geothermal would be a needed breakthrough. Government officials in Landau In Der Pfalz, Germany, are reviewing the safety of a geothermal energy project that scientists say set off an earthquake in mid-August, shaking buildings and frightening many residents of this small city. 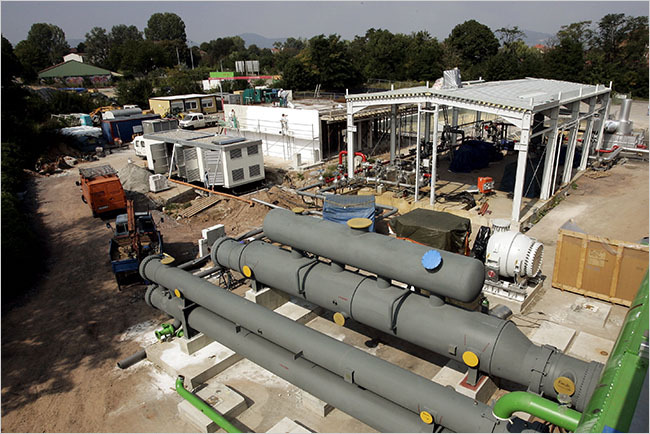 The geothermal plant in Landau in der Pfalz was under construction in 2007 and is now operational. A quake shook Landau in der Pfalz and set off an inquiry. The geothermal plant, built by Geox, a German energy company, extracts heat by drilling deep into the earth. Advocates of the method say that it could greatly reduce the world’s dependence on fossil fuels by providing a vast supply of renewable energy. 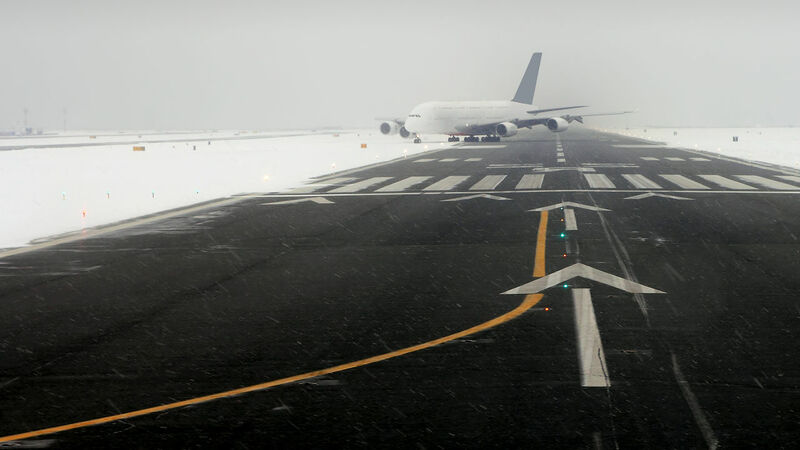 Airlines can easily lose millions of dollars when winter storms muck up travel schedules. To stop those losses, some airports are looking to systems that use the abnormally hot temperatures on summer tarmacs to melt ice during colder times. PT Siemens Industrial Power (PSIP), a joint venture between Siemens AG of Germany and domestic turbine-maintenance company PT Nusantara Turbin and Propulsi (NTP), is ready to meet the surge in demand for geothermal turbines with the opening of its steam-turbine factory in Bandung, West Java, on Wednesday. Starting from June, the PSIP will commence production of the Siemens Turbine SST-140; a single-casing geared steam turbine with a capacity up to 20 megawatts (MW). NTP’s president director, Supra Dekanto, hopes the government will allow them to supply turbines for some government energy-plant projects. “Our products are aimed at supporting the government in the energy sector, such as its steam turbine geothermal project, which is currently being planned by the Agency for the Assessment and Application of Technology [BPPT],” Supra said. It was a full day of Hawaii County Council Committee meetings in Hilo on Wednesday. Oregon is known for going green and efforts to create new ways of renewable energy. An experimental project on the side of the Newberry Volcano southeast of Bend could soon be added to the list. Seattle based AltaRock Energy is in the process of testing a new technology that creates geothermal energy by sending water thousands of feet below the surface, heating it up and then sending back up. Some 10,000 Mbeya residents are set to benefit from the 1.6 Megawatts of thermal power that Geothermal Power Tanzania (GPT) plans to generate in the next six months to support government rural electrification efforts. GPA Chairman Graeme Robertson told reporters in Dar es Salaam on Wednesday that villages in the highlands of Tukuyu district that surround the project will be the first beneficiaries of the rural electrification. "The renewable and environmental friendly geothermal energy will have great impact on the regional development by providing clean electricity," he said, noting that the main target will be the geothermal reservoir at the Ngozi volcano that could generate about 100 MW of electricity. As it seeks to diversify its energy sources, the Indonesian government says it is prepared to spend Rp 3.4 trillion ($367 million) to finance the construction of geothermal power plants. The money will come from the State Investment Agency (PIP), which has been tasked with funding major infrastructure projects. Soritaon Siregar, the chairman of the PIP, said on Wednesday that the agency would provide loans of Rp 2 trillion to companies to build geothermal power plants and another Rp 1.4 trillion to firms building micro-hydropower plants. “We will sign three power projects in the immediate term,” Saritaon said in Jakarta after the signing of a memorandum of understanding with state utility company Perusahaan Listrik Negara on Wednesday. A graduate from Enterprise High School in north-east Oregon, has distinguished herself among her peers at the University of Idaho. Last week, Jessy Osterloh received the school’s Outstanding Undergraduate Research award. Osterloh, an environmental studies major, did her senior thesis research on the geothermal potential of the Snake River plain in Southern Idaho. "There’s an incredible amount of heat under the earth’s surface in the interior West, providing hot springs and possibly geothermal energy opportunities, though the work has a number of useful applications", she said. Jessy has included the research as an entry in this year’s National Geothermal Student Competition. Jessy was a member of a team that came third in last year’s National Geothermal Student Competition, sponsored by the Department of Energy, doing a study of the Rio Grande Rift Valley of Colorado and New Mexico. This year's competition will judge the final three contestants at the 2012 GRC Annual Meeting to be held at the Peppermill Resort Spa in Reno, Nevada, September 30-October 3. Join the Young Professionals in Energy Nevada (YPE Nevada) for a unique chance to see how local a local resort is utilizing clean Nevada energy and the opportunity to build your connections with other Nevada energy industry professionals. All of the hot water used by the Peppermill's patrons, including the pools, is heated naturally from geothermal heat directly below the resort? At 6:00 we will start a tour and learn about the Peppermill’s geothermal facilities: what it took to build the facilities and the challenges that were faced, how does it fit into their business model, and how is it operated? The Peppermill Resort Spa & Casino is the location for the 2012 GRC Annual Meeting from September 30-October 3. Tours of the Peppermill geothermal facilities will be part of the program. The University of Minnesota is the U.S. has launched a startup it says will provide renewable energy more economically than existing technologies by using sequestered CO2 rather than water to extract heat from geothermal wells. Heat Mining Company LLC, said in a written statement that the use of sequestered carbon dioxide will allow electricity to be provided from many more sites than would be possible with conventional water-based systems and does it more economically. U.S. Secretary of Energy Steven Chu, in Denver on Wednesday, called on Congress to act on extending clean-energy tax credits, which he said will help American companies create jobs and produce clean, renewable power. "America can't afford to miss out on the clean- energy opportunity," Chu said. "We have an opportunity to create a second Industrial Revolution that will provide clean energy and put us on a path to a sustainable world." Council Chair Dominic Yagong and the rest of the Hawaii County councilmembers are preparing to dive into the bureaucracy of geothermal related regulation in the next few weeks, starting today with Bill 256. Salt River Project, which provides electricity to nearly 934,000 retail customers in the Phoenix area, is now receiving a significant amount of renewable energy from the just-completed Hudson Ranch I geothermal plant located in California’s Imperial Valley. Retired Vice Adm. Dennis V. McGinn, president of the American Council on Renewable Energy (ACORE), will provide the keynote address during the dedication ceremony for the plant tomorrow, Friday, May 18. SRP executed a 30-year agreement in 2007 to purchase 49 megawatts of geothermal energy from Hudson Ranch I. The utility-scale plant, developed by EnergySource, is now providing enough energy to power about 26,000 average size Valley homes. The facility is located in one of the largest and highest-temperature geothermal resources in North America – the Salton Sea field in Imperial County.